As children, we’re taught to treat others how we want to be treated. This life lesson follows you into adulthood, where we learn that it’s even more important not to burn bridges. That’s why Malcolm MacKillop strives to build relationships that last a lifetime. MacKillop is a founding member and primary partner at Shields O’Donnell MacKillop LLP. He is a successful trial lawyer, a law professor, a professional speaker, and an author. MacKillop is certified by the Law Society of Upper Canada as a Specialist in Civil Litigation and has been ranked by Lexpert as one of the top Leading 500 Lawyers in Canada. MacKillop has also achieved the highest Peer Rating by Martindale-Hubbel and was awarded the 2016 Randall Echlin Mentorship Award, all the while has authored a number of acclaimed texts in employment law, and has published columns in the Globe & Mail and the Toronto Star. 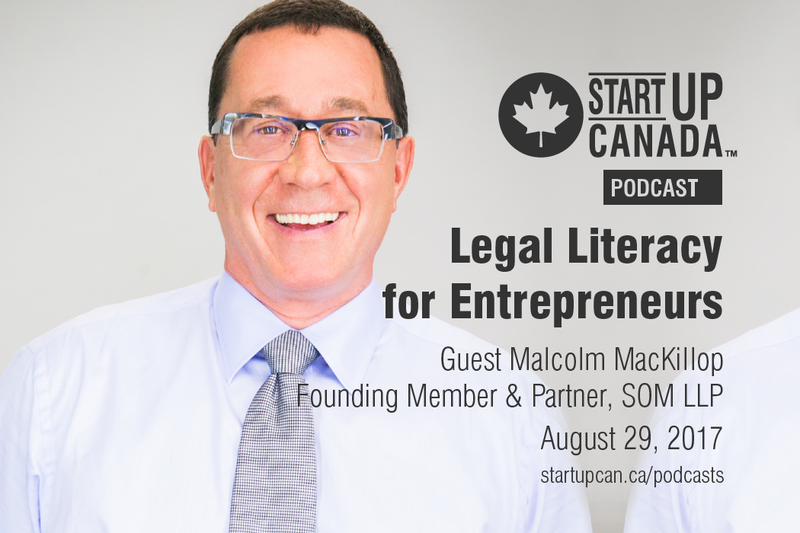 In this week’s #StartupPodcast, special guest host Janice McDonald talks to MacKillop about the basics of business law and discusses the importance of legal literacy when starting a business.